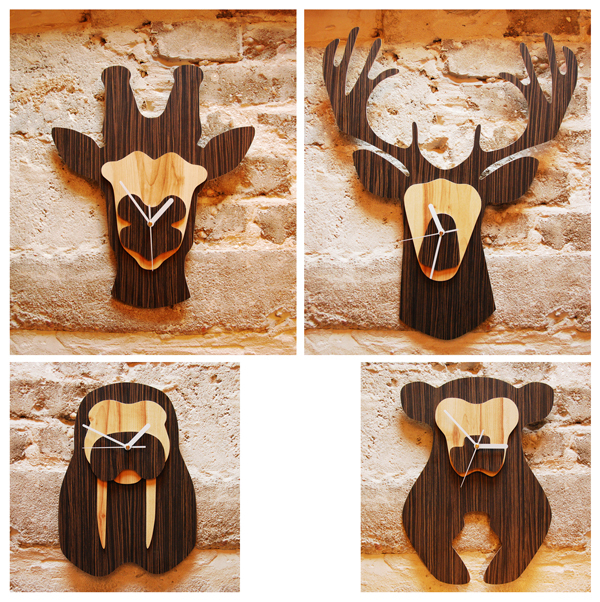 These fun and creative designs were inspired by animals like deer, bears, walruses and giraffes. Two layers of dark wood encapsulate a smaller layer of lighter wood to form a simple representation of a hunter's mounted catch. Best of all, no animals were hurt in the process.